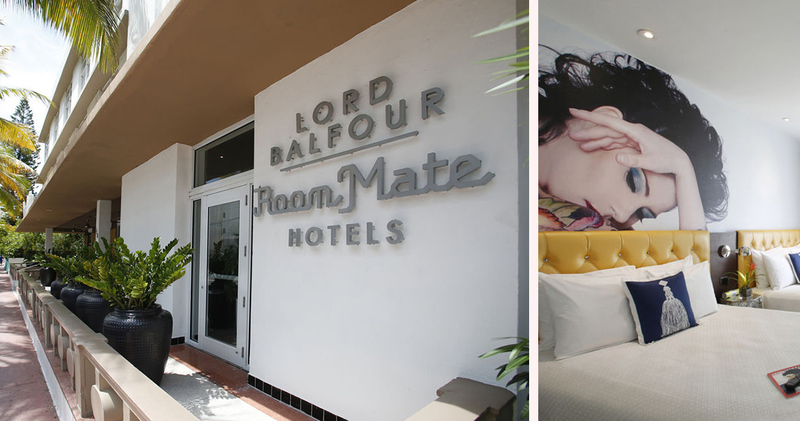 One of the exclusive Room Mate Hotels, The Lord Balfour in Miami Beach invites guests to experience the city through the eyes of the nobility. 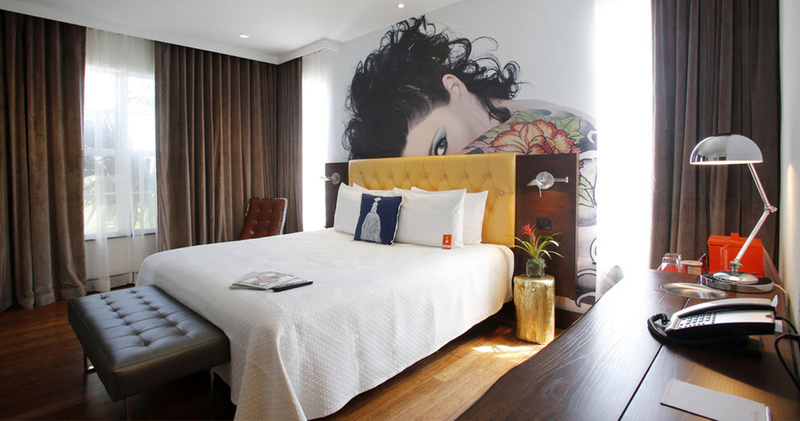 Seamlessly combining the finest aspects of sophisticated service and energetic design, this boutique hotel is both elegant and exhilarating. Remarkably close to the warm waters of the Atlantic, it is also close to famous attractions such as the Wolfsonian Museum, Jewish Museum of Florida and Jackie Gleason Theater of the Performing Arts. 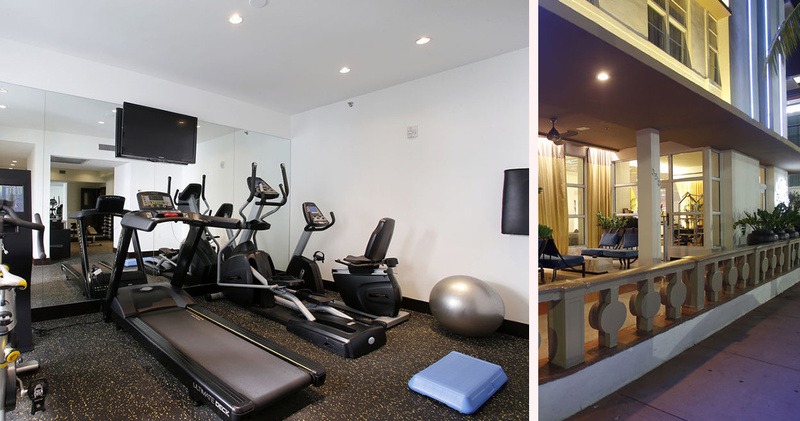 Shopping and dining enthusiasts will delight in the nearby Lincoln Road Mall and Bal Harbour Shops. 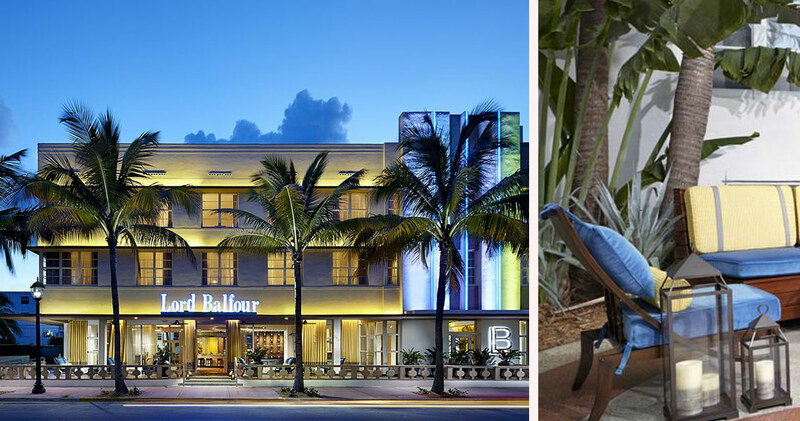 At the end of each day, guests are welcomed home to the unique city views of The Lord Balfour Miami Beach. 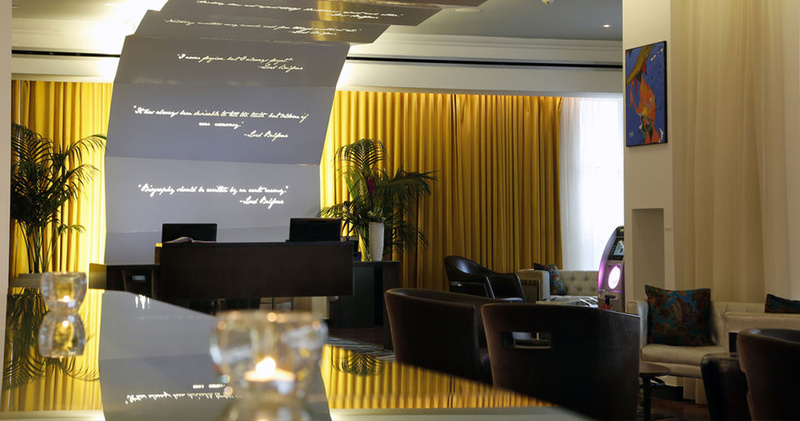 A surprise waits around every corner at Lord Balfour, with its resounding philosophy of bespoke Art Deco. 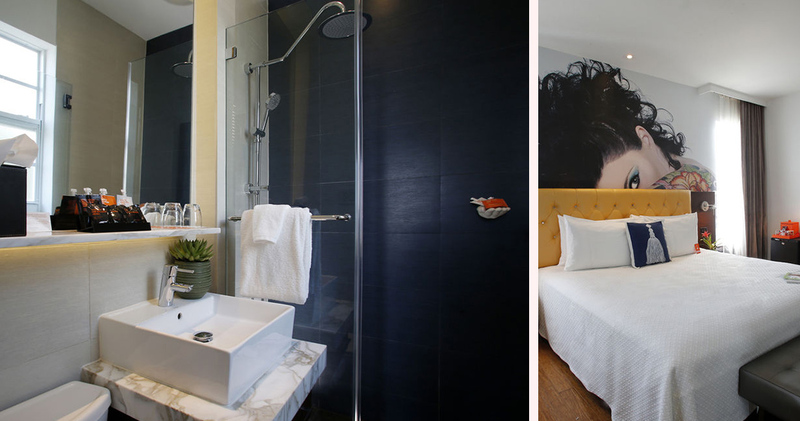 Guests can choose between 64 individual rooms, each with their own unique flair. Whether a Double Queen, Queen, King or deluxe suite, guests at The Lord Balfour can expect to relax in some of the area’s finest accommodation. Every space is adorned with thoughtful accoutrements, from the tasteful colors and textures to the stylish upholstery and rich hardwood floors. 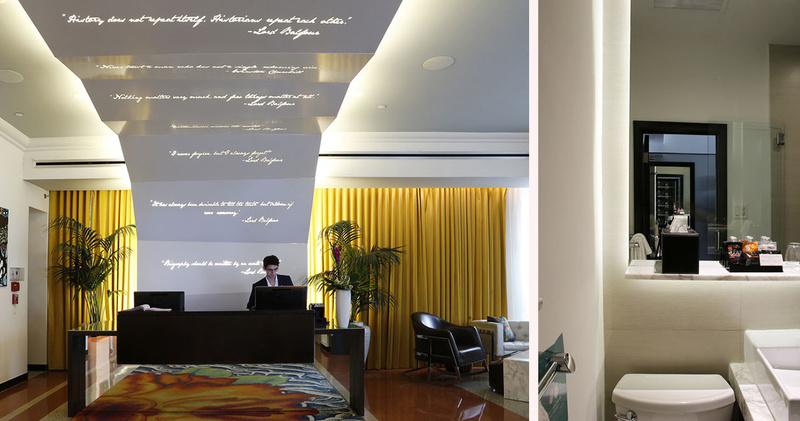 For that extra ‘je ne sais quoi’, every guest space at The Lord Balfour Miami Beach features exclusive artwork. Lord Balfour serves breakfast until noon. 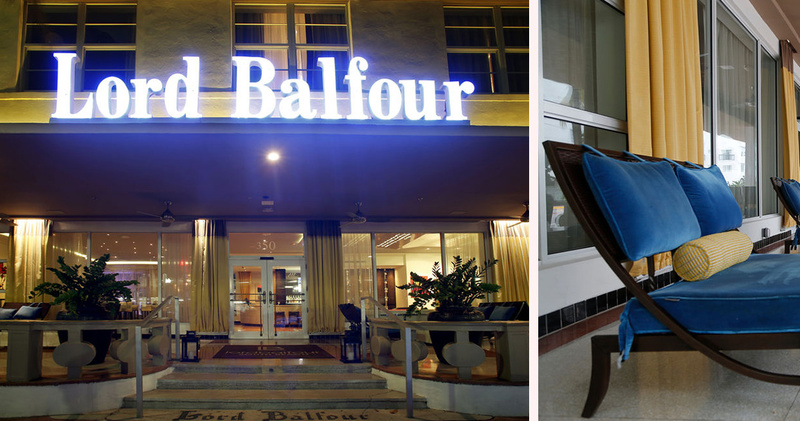 The hotel is also home to the Lord Balfour Bar. This friendly, relaxed bar has a very chill atmosphere and a good range of cocktails and wines. 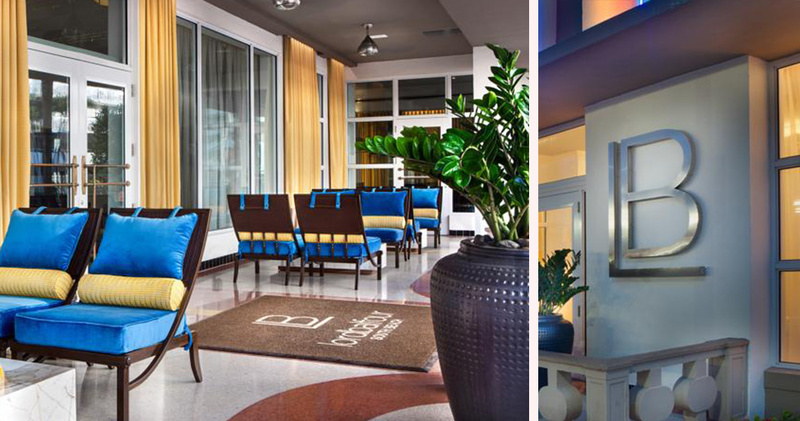 The hotel is also close to excellent restaurants like A Fish Called Avalon, Joe’s Stone Crab and Prime 112.